"Where We Live Now" explores the ways in which immigration is reshaping American neighborhoods. In his examination of residential segregation patterns, John Iceland addresses these questions: what evidence suggests that immigrants are assimilating residentially? Does the assimilation process change for immigrants of different racial and ethnic backgrounds? 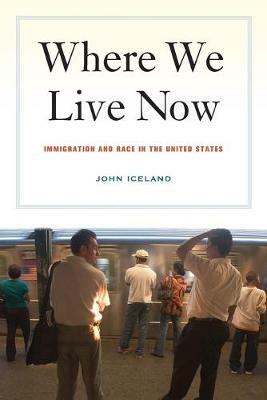 How has immigration affected the residential patterns of native-born blacks and whites?Drawing on census data and information from other ethnographic and quantitative studies, Iceland affirms that immigrants are becoming residentially assimilated in American metropolitan areas. While the future remains uncertain, the evidence provided in the book suggests that America's metropolitan areas are not splintering irrevocably into hostile, homogeneous, and ethnically based neighborhoods. Instead, Iceland's findings suggest a blurring of the American color line in the coming years and indicate that as we become more diverse, we may in some important respects become less segregated.